CHINCOTEAGUE, Va., March 18, 2016 – No question where craft beer drinkers, barbeque and wing aficionados will be celebrating the start of summer. The second annual Saltwater Brew ‘N’ Que returnsMay 20 and 21 to the Chincoteague Fairgrounds in Chincoteague, Virginia. This unique event is part barbeque competition, part beer festival and part country music festival. The barbeque competition is officially sanctioned by the Kansas City BBQ Society. Registration for amateur and professional teams is currently available online at www.saltwaterbbq.com and there is over $6,000 of prize money at stake. On Friday, May 20, spectators have the chance to participate in the People’s Choice Wing Tasting event from 6 – 8 p.m. Tickets may be purchased at the gate for $5 to taste wings and vote on favorites. There is no gate entrance fee on Friday, and there will be live music and large pour beers available for purchase from the Chincoteague Volunteer Fire Department. On Saturday, May 21, there is a suggested donation of $5 at the gate for adults ages 13 and over. This includes live music, kids’ activities, access to the professional BBQ competition, food vendors and more. The craft beer tasting wristbands are sold separately. Prices are $20 in advance or $30 at the gate for adults 21+ and event hours are 11 a.m. to 7 p.m. Large pour beers are not included in the wristband price. There will be an after party at The Jackspot restaurant on Main Street from 7 – 10 p.m., which will feature live music, drink and food specials.  For more information on the Saltwater Brew ‘N’ Que tickets and event lodging, please visit:www.saltwaterbbq.com or contact Sarah Witkowski at 410-213-2600 or switkowski@burbageproperties.com or contact Daina Behe at 848-459-8738 or dainabehe@gmail.com .